My dad gave my mum a beautiful heart-shaped box of candy every year on Valentine’s Day. Big red and pink boxes with swirls of lace and wide satin ribbons. The beautiful boxes were mesmerising. I drooled over them. Literally. 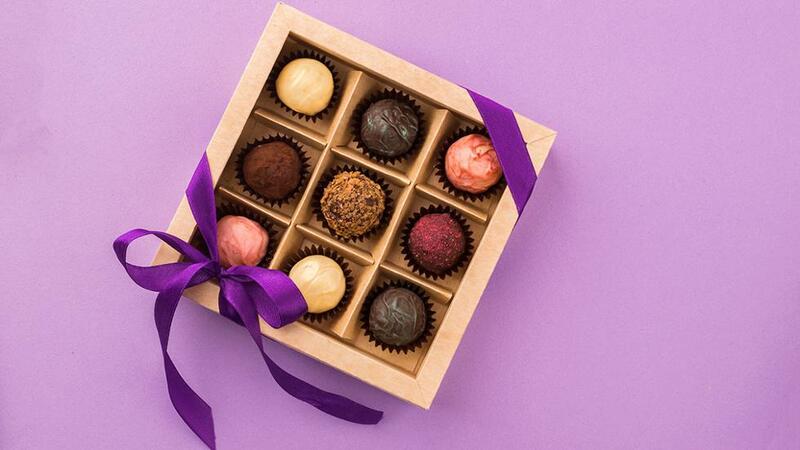 Chocolate mint truffles, caramels and raspberry-filled. The small candies tucked beneath the quilted paper liner were a beauty to behold. Mum and Dad weren’t big gift givers with one another, but every year he bought her a box of candy for Valentine’s Day. I think he thought it was just how a guy treated his gal. And she was always his gal. When I was growing through an awkward phase, my right leg often tripping over my left, my dad gave me a heart-shaped box of candy, too. It was a smaller version of Mum’s — a pink heart with ruffled trim and a satin ribbon. Perhaps he thought my possibilities might be limited down the road and it could be the only Valentine’s candy I got. It didn’t matter. Those pretty boxes made me walk a little taller, which was important for a girl who was short. Like maybe I could finally do the required rope climb all the way to the ceiling in gym class. I couldn’t, but I didn’t care because I had a heart-shaped box of candy declaring I was loved. Through grade school and high school, when Mum got a box for Valentine’s, I got a box, too. Even when I went away to college. Even when I moved cross country. ‘I know,’ he said on the phone. ‘I know,’ Mum said, on the extension. It was a team operation and always had been. Still the heart-shaped boxes kept coming. Our two little girls began getting boxes, as did my sister-in-law. ‘It’s time to stop!’ we cried in unison. Still the boxes came. We stashed the empty ones on closet shelves, in the dress-up trunk and under the beds. Dad and Mum realised too late in life that they should have invested in chocolate. They were funny like that. Painfully practical and to the point. A few years later they were both gone. As for chocolate, we are well cared for by the husband who tends to us courtesy of a nearby local chocolatier. All our old heart-shaped boxes are gone now, but the love remains.